Appearance Clear gas, slightly slovenly, with this distinctive electron below his nucleus. Electronegativity 2.20, but it could have been higher if he crammed for Dr. Pauling's stupid exam! Man, he hated that guy. Natural Habitat Sulking in room, watching The Office, Complaining about Oxidation Numbers. It is commonly known that Hydrogen is an element from the first period of the periodic table. But few know of the long personal journey that he has faced over the years. Hydrogen was raised by his Auntie Neutrino, along with his more popular sister, Helium. While nobody cared about Hydrogen as a child, Helium was considered more noble than Hydrogen, and certainly more liked due to her calm demeanor. Said Argon, Helium's best friend at the time, "She didn't react to any old thing, unlike her idiot brother. Boy, that guy would just blow up at even the tiniest little spark." When Hydrogen was a boy, he had difficulty making friends. He was made fun of by his peers for only having "s" orbitals and for completely ignoring the octet rule. As such, his only friend was Boron, who has said he "used to tell him 'It's okay, Hy. Sometimes I don't fulfill the octet rule, either.' " His teacher at the time, Miss Gluon, commented that Hydrogen "was not the most stable atom in the Polonium-209, so to speak... He did not even know the difference between 1-butanol and ethoxyethane! All he could say was 'there are ten of me in both, so they must be the same.'" Hydrogen is generally agreed to swing both ways, considering it can serve as both an anion and a cation in chemical compounds. He was made fun of for this as a child, as well. It is commonly known that his Auntie Neutrino made Hydrogen have an overwhelming desire to be well liked by his peers due to her constant reassurances, but his attempts at doing so were generally failures. Take, for example, his two attempts to take on a "tough guy" persona, Deuterium and Tritium. Not many of the popular elements at Electron Cloud High noticed, despite his best efforts at the alternate personas. He also became a diatomic element, but according to Nitrogen, the element that started the fad, "That was, like, so after that was cool." 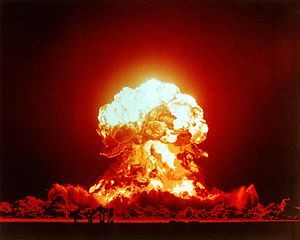 Hydrogen, known for his explosive temper, literally exploded after he found Lithium was being unfaithful. Looking to find himself, Hydrogen became rebellious. He started to listen to heavy metal, specifically Osmium. 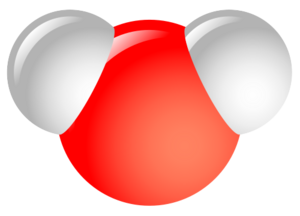 Then, at the tender age of 3.2x104 years, Hydrogen had his first love. He began a lengthy ionic bond with Lithium, a girl in his VSPER class. Like Hydrogen, Lithium was rebellious, and had a strong temper. This made her quite reactive, with several cliques agreeing that, in the words of Boron, Lithium was "trash" and "no good news." Among these groups, the nerds (Boron, Antimony), The Jocks (Strontium, Iron), The Popular Girls (Helium, Argon), and the Foreign Exchange Students (Indium, Gallium) were the most notable to voice opposition. Hydrogen at the time disagreed, saying that Lithium "almost has a psychoactive property about her". Hydrogen eventually found out that Lithium was still smoking quark, despite her promise that she would quit when they met. This, along with his discovery that Lithium was seeing that jerk Beryllium behind Hydrogen's back, led to their breakup. After this, Hydrogen went through a period characterized by loneliness and melancholy feelings. According to Boron, "He just shut himself out, listening to this awful acoustic music. He just kept yelling, "WHY COULDN'T WE BE LIKE NaCl? WHY?!"" After a bit, Hydrogen moved on. After graduating out of high school, he got an internship with Potassium, an older element with much influence. According to Helium, "he really helped Hydrogen to find his own crystalline structure... before he was lost and now he can shout with pride, "I'm Hexagonal!"" Hydrogen once said about his marriage: "We were made for each other. Nothing can break our bonds... except electrolysis. One day, during his internship, Hydrogen met Oxygen. There was instant chemistry between the two, and a bond resulted quickly. The resulting bond, Water, was more well received by his compatriots than some of his earlier bonds, specifically Ammonia. The bond with Oxygen, according to Hydrogen, "brought out properties that I didn't even know I had... like adhesion and cohesion. I didn't even know they existed!" Eventually, the relationship became a marriage. The service was short, with few words exchanged, most notably "I now pronounce you covalently bonded." The pastor, Praseodymium, was an old friend of Oxygen's. He was chipper throughout the ceremony and has even been called the "catalyst to our bond" by Hydrogen. Since the marriage, his wife is rumoured to give a lot of their earnings to charity, she is after all a generous electron donor. They have several children now, most notably alcohols and ethers, who are fraternal twins. 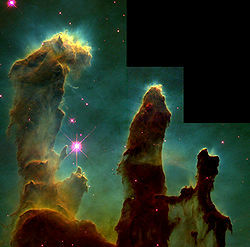 Currently, Hydrogen and his wife live on Eagle Nebula Way, where they "couldn't be happier" with their home. Hydrogen currently lives in an attractive gated supercluster next to the high-end Virgo Supercluster called the Stonebrook Supercluster. This supercluster, filled with quaint cul-du-sacs and identical ranch-style galaxies, provides an ample home for Hydrogen to raise his children. Some close to Hydrogen say however that he longs to escape from his life, which he considers boring. Says Helium, "Hydrogen recently called me... and said he was considering unearthing his old Tritium personality." This shows that, after all these years, Hydrogen still has an overwhelming desire to be "cool". Recently, Hydrogen has also been called a peon, with its atoms being infinitely replaceable yes-men. According to Carbon-12, one of the most influential elements on the periodic table, has said that he "hates that little twerp. He's only good when in compounds that don't feature him. Take CH4 (Methane) for example. A complete freakin' disaster, and stinks not by my accord, but by his." ↑ It is not understood why Helium was not made fun of for the same reason, but it is likely that her calm demeanor impeded any reaction to her lack of "p" "d" or "f" orbitals. ↑ He especially spent a lot of time on Tritium, with which he even spent the time to make radioactive. ↑ Hydrogen was repeatedly warned about this by Boron, but Hydrogen always responded with "Shut up, you stupid Metalloid! For your information, our bond is perfect!" ↑ Carbon is generally agreed to still have bad feelings about their failed "Hydrocarbons" project, where Hydrogen mismanaged the oxidation numbers and was heavily criticized. This page was last edited on 2 October 2012, at 08:53.